Chick Rice began her cameraless photographs of plants and "unusual people" in 1980 in a series she called "Living Proof." Working in the dark, she positioned her subjects in front of large sheets of photographic paper, then recorded their silhouettes by lighting the composition so that their cast shadows were registered on the paper. This photogrpahic technique, which used no camera or film, derives from the time of photography's invention when Henry Fox Talbot laid flowers and leaves of plants on sensitized paper and exposed the arrangements to the sun to make his photographic drawings. 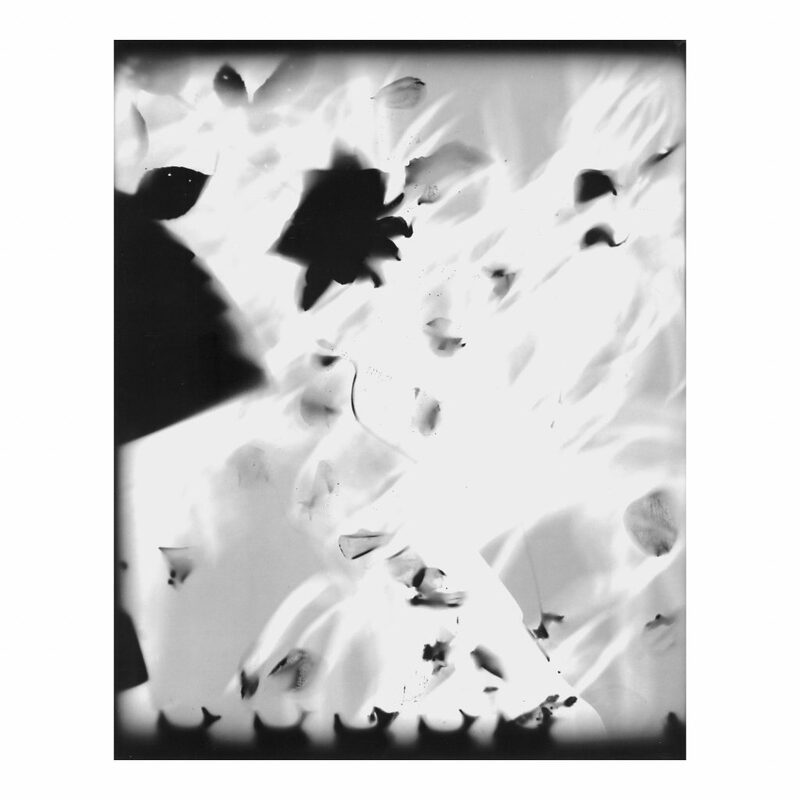 The photogram processed was revived around 1920 by Lazlo Mohony Nagy, Man Ray and other members of the surrealistic movement exploring the photographic medium. While Rice borrowed Talbot's botanical studies aspart of her imagery, the character of her work compared more closely with the ideological considerations of the later avant-garde photographers. 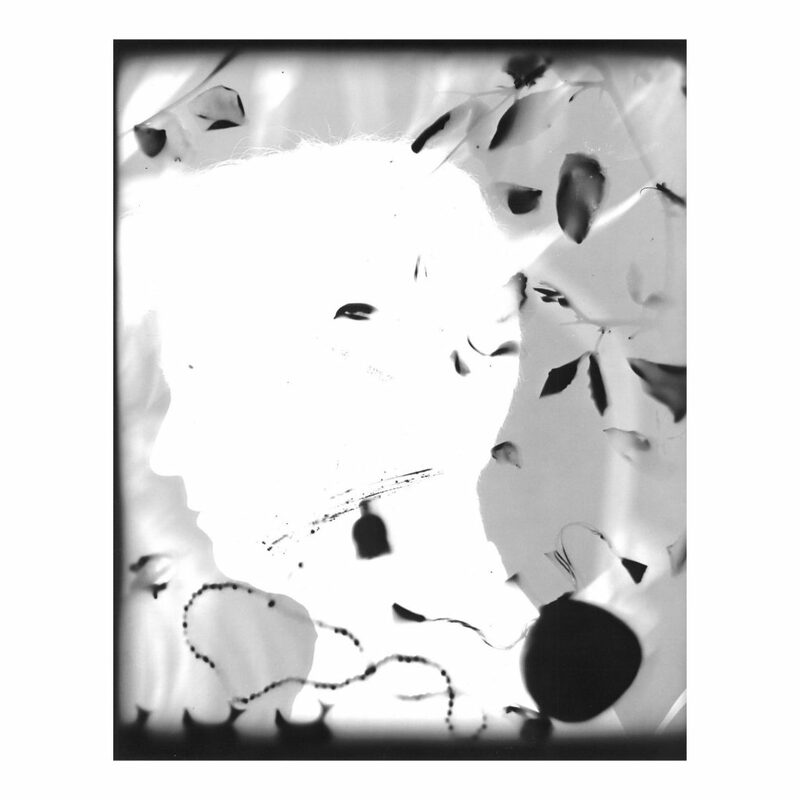 Her aim is less to create a replica than to use the photogram, or shadowgram, as she calls it, as a symbolic gesture. 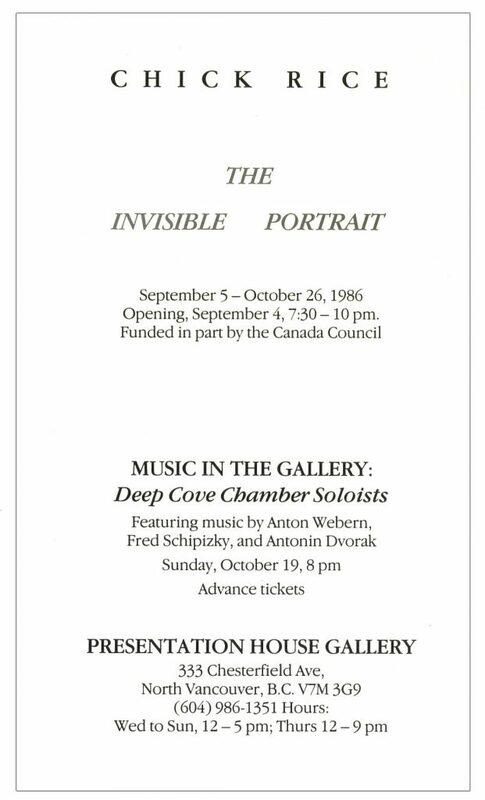 A catalogue was published by Presentation House Gallery in conjunction with the exhibition, with an essay by Martha Hanna. 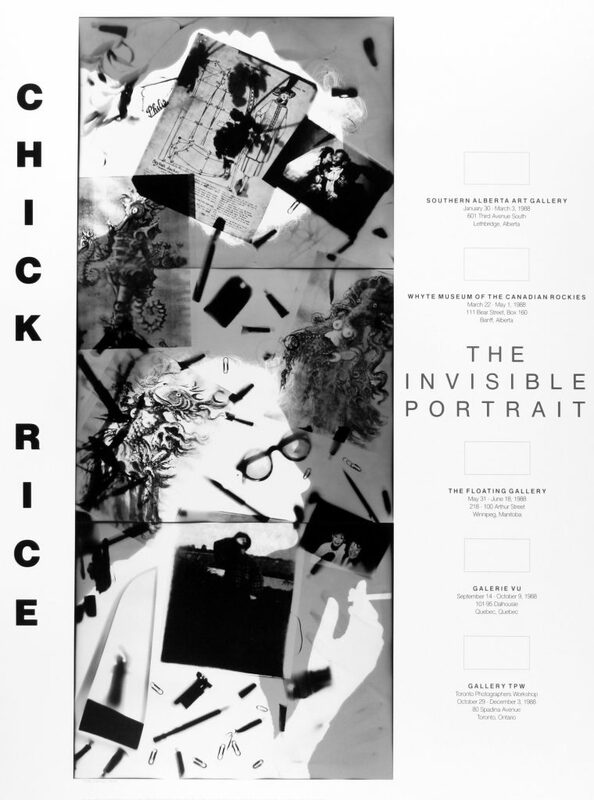 Poster for the exhibition "The Invisible Portrait"
Our publication for the 1986 exhibition of works by Chick Rice, curated by Karen Love. The folder format publication has a guest essay by Martha Hanna, a list of works and biography, with acknowledgments by Karen Love. Designed by David Clausen, printed by Hemlock Printers.